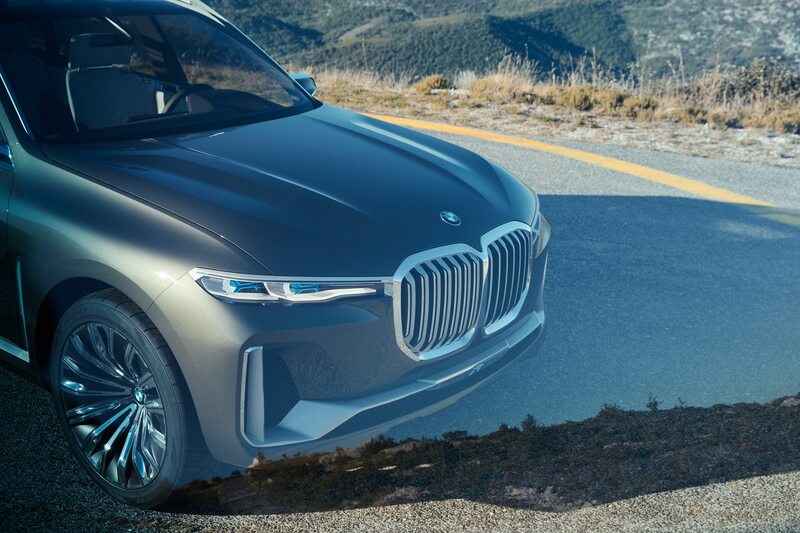 Considering how progressive BMW is regarding electric powertrains and alternative materials, it seems like it takes its sweet time filling necessary model gaps. 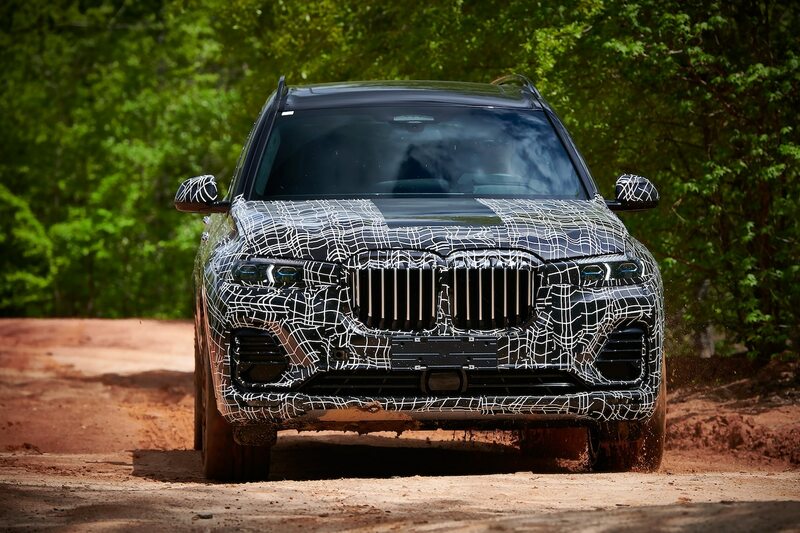 Finally, after 18 years as BMW’s biggest SUV, the X5 will have a bigger, full-size brother. 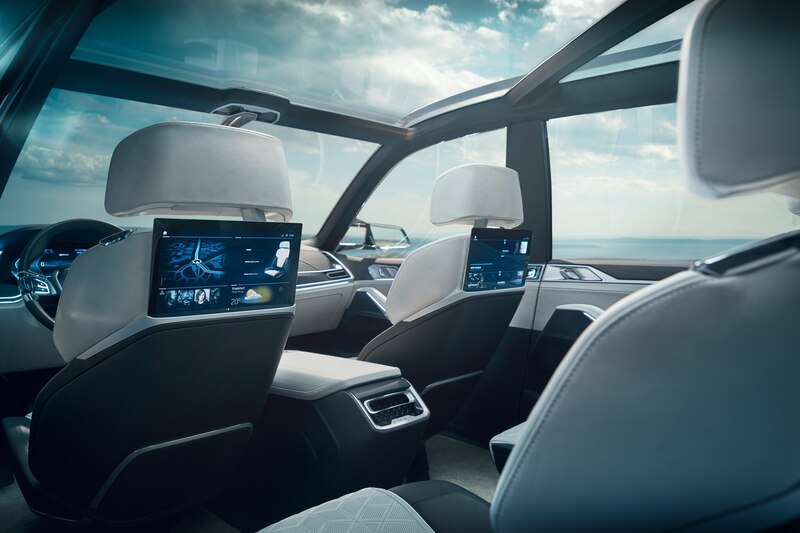 The real production model is still a few years away, but BMW previews the new big-body Bimmer with the new Concept X7 iPerformance at the 2017 Frankfurt Motor Show. 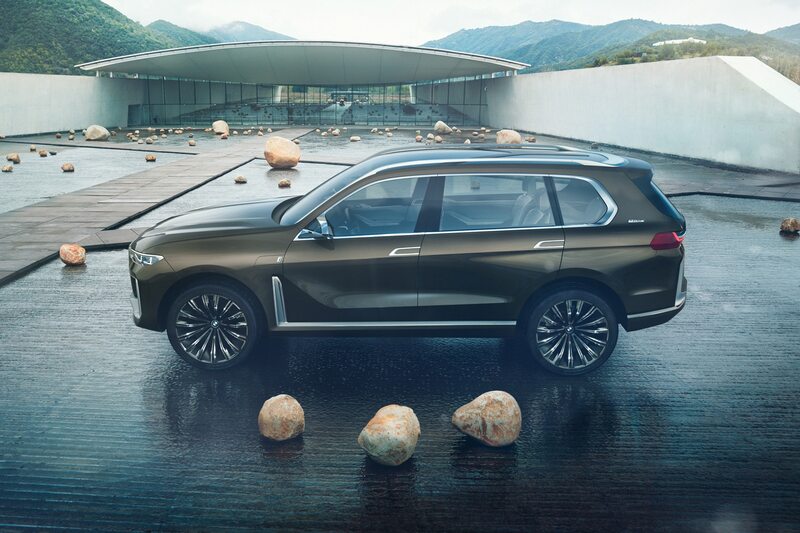 Even for a company that claims to focus on driving dynamics and motorsports, the new X7 makes a large amount of sense. 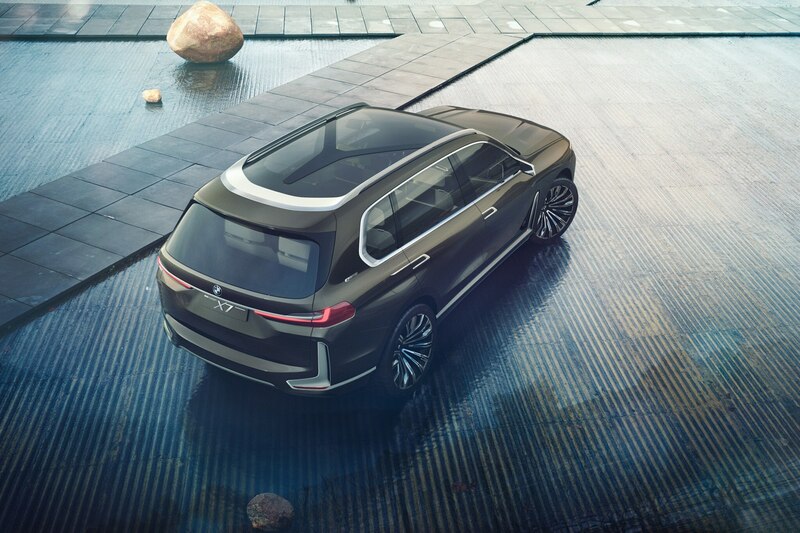 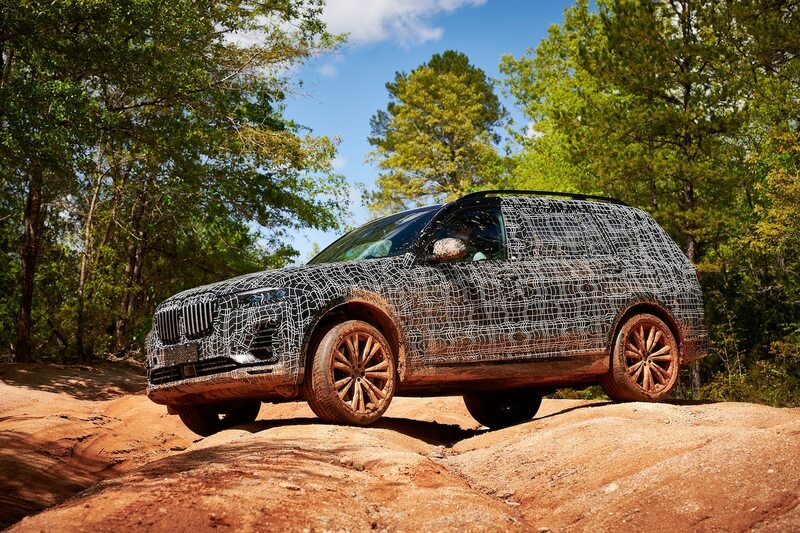 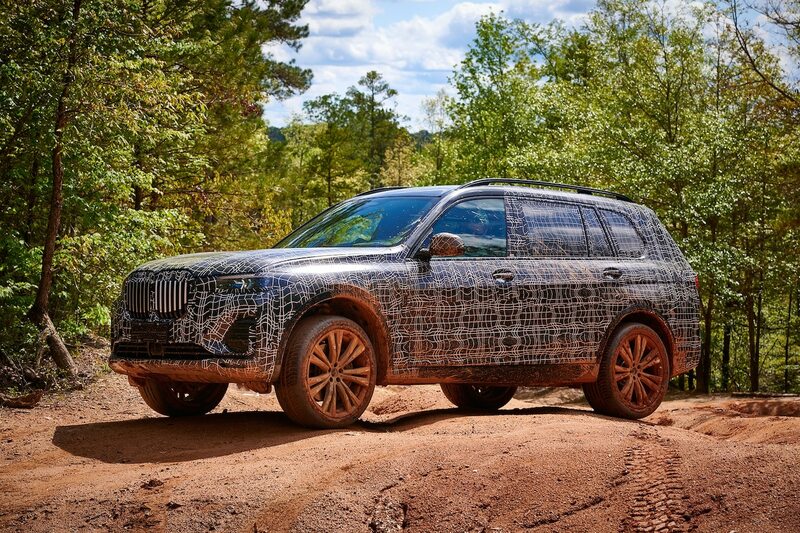 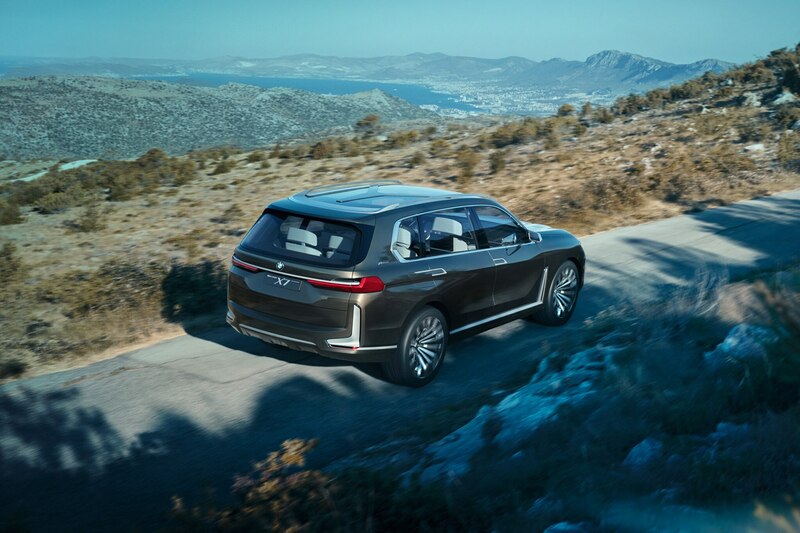 Just like the name suggests, this new SUV will be the largest, most luxurious of the BMW SUV lineup, much like the 7 Series is to the sedan family. 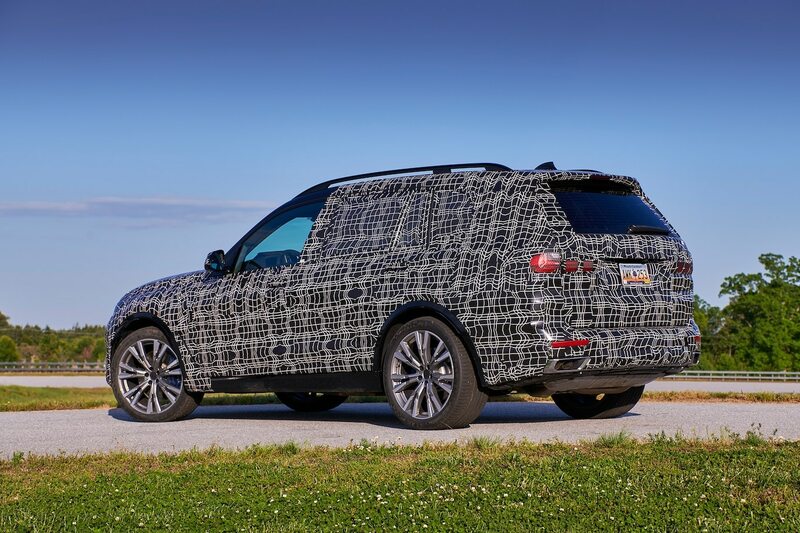 When it hits dealership lots, it will clash with other established full-sizers, including the Mercedes-Benz GLS, Range Rover, and Cadillac Escalade. 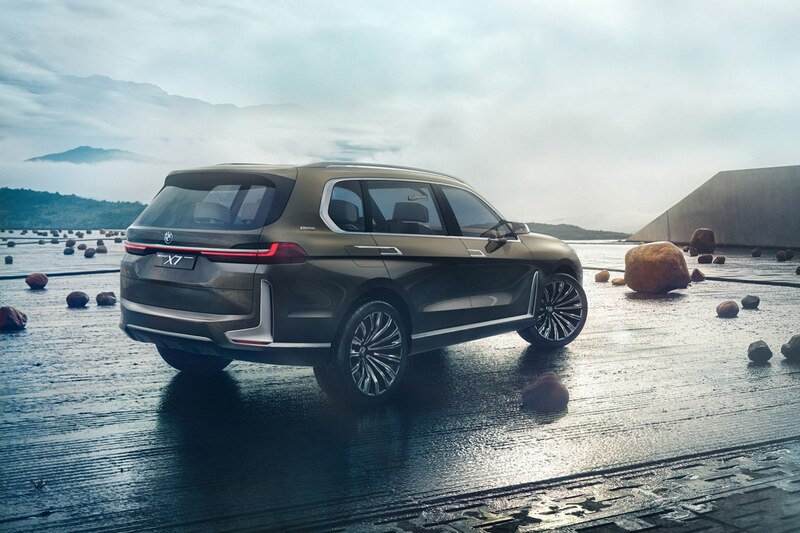 The real-deal X7 is still to come. 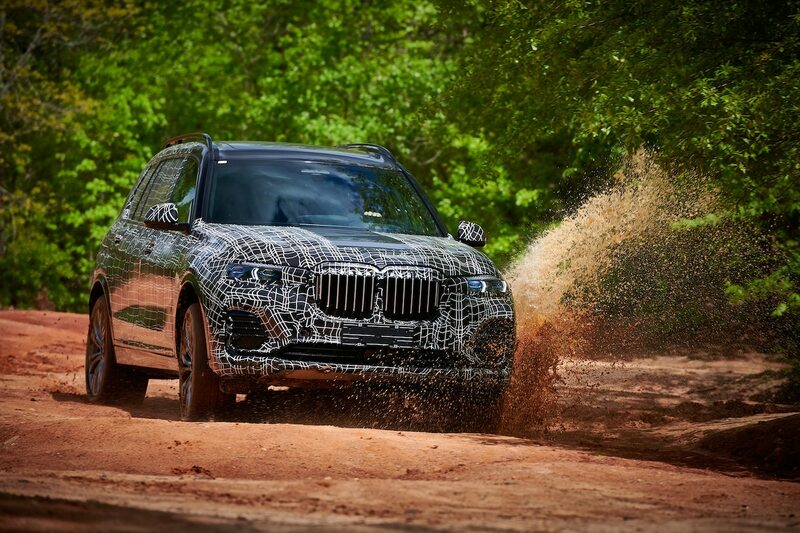 In the meantime, we’re getting our best look yet with the new Concept X7. 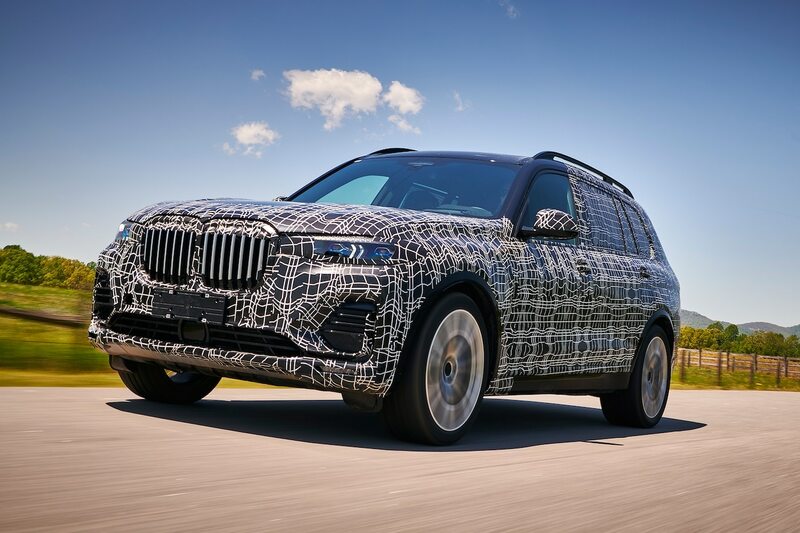 It wears cartoonish, concept-car proportions, but the bones of the design study is what we can reasonably expect to see on the production truck. 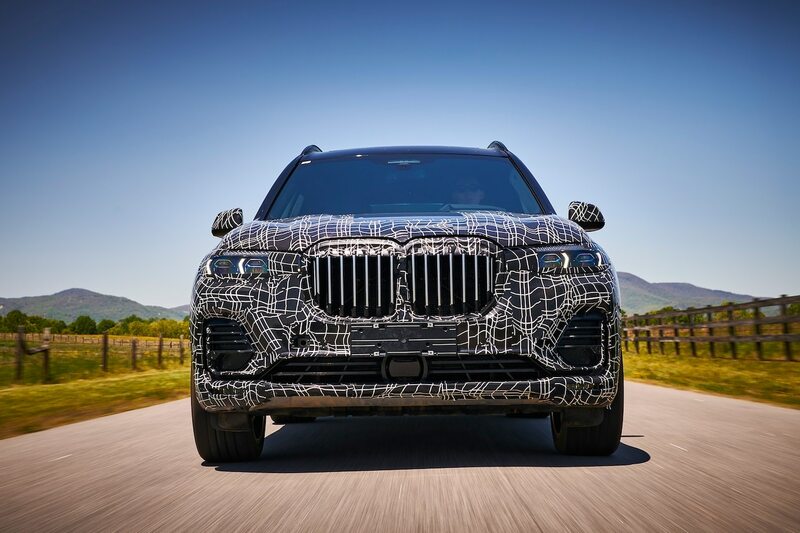 Surprise, surprise—BMW’s signature kidney grille is present, as is the recent addition to the lower side chrome strip accouterments that debuted on the 7 Series and trickled down to the new 5 Series, albeit minus the long chrome strip. 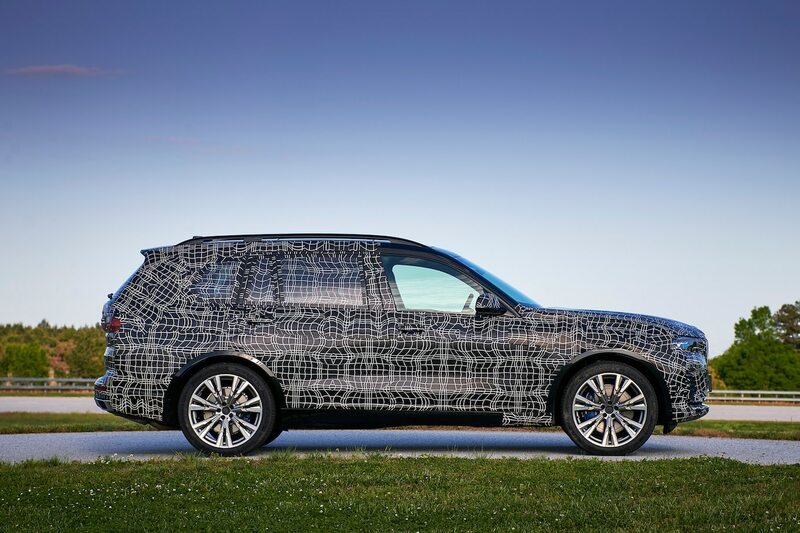 It certainly isn’t subtle, even coated in the light greenish-brown paint. 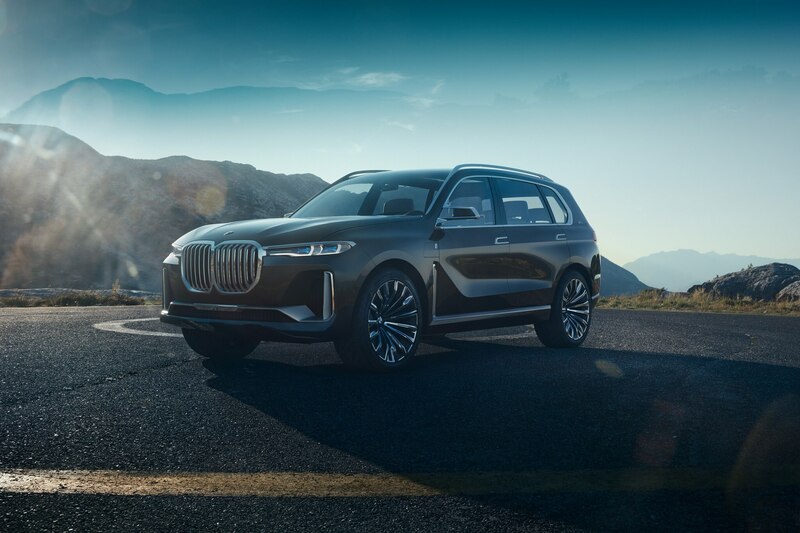 There’s chrome everywhere, from the shiny inclusions in the front fascia to the rear bumper, matching well with the bright 23-inch wheels. 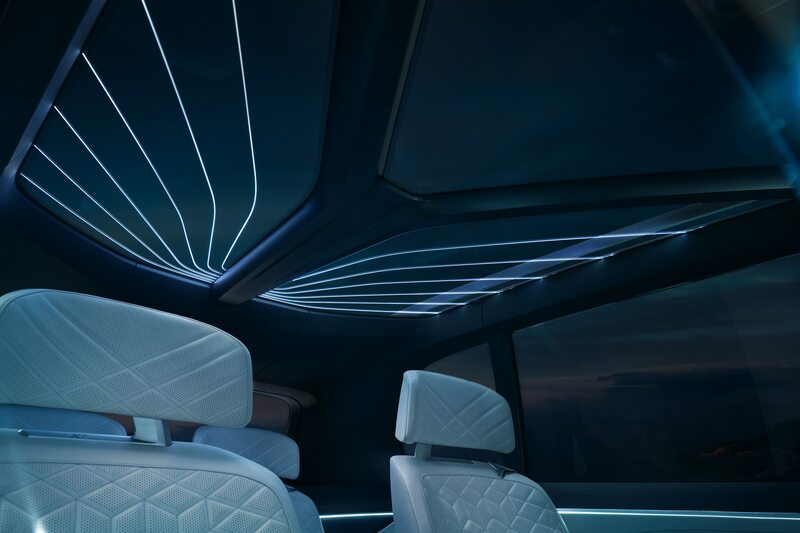 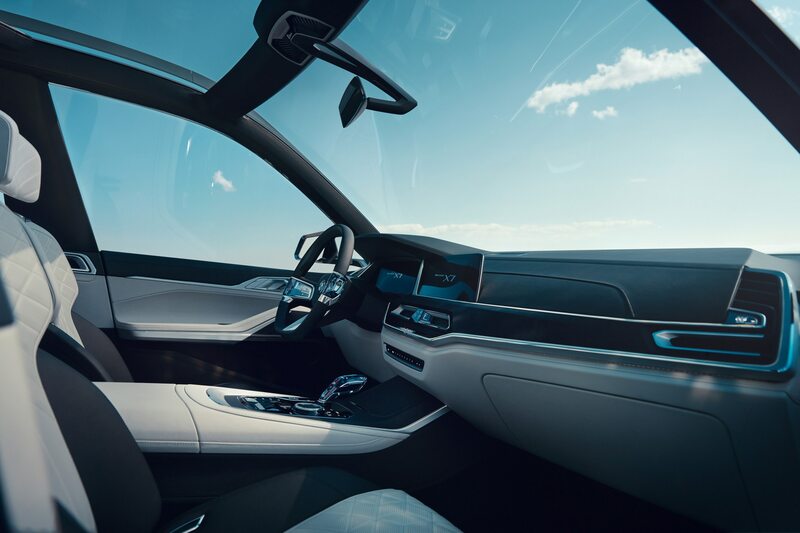 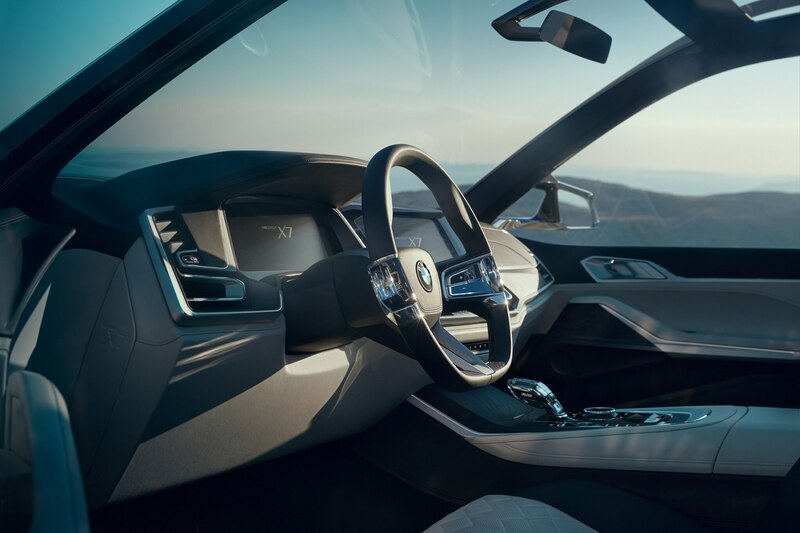 Aside from the conceptual designs on the center console and steering wheel, the interior layout isn’t too far removed from what we might see in the production X7. 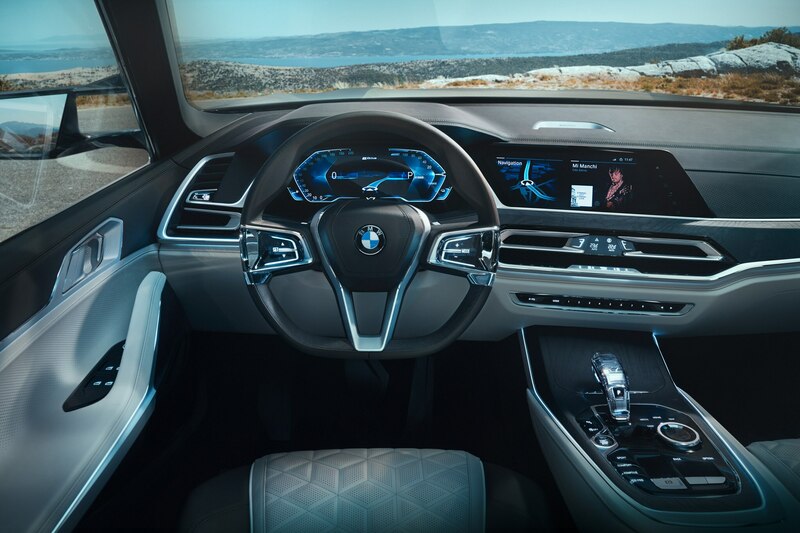 The large center infotainment screen, along with the LCD center gauge cluster are close to what we already see on the 7 Series and 5 Series. 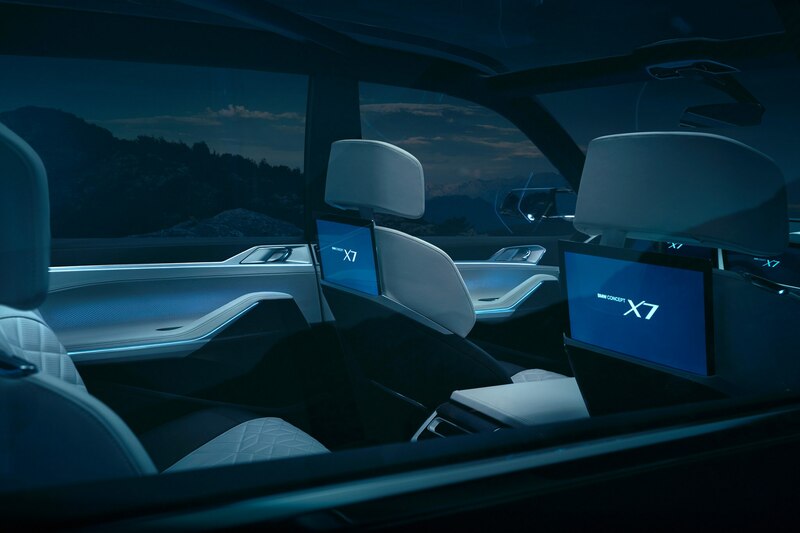 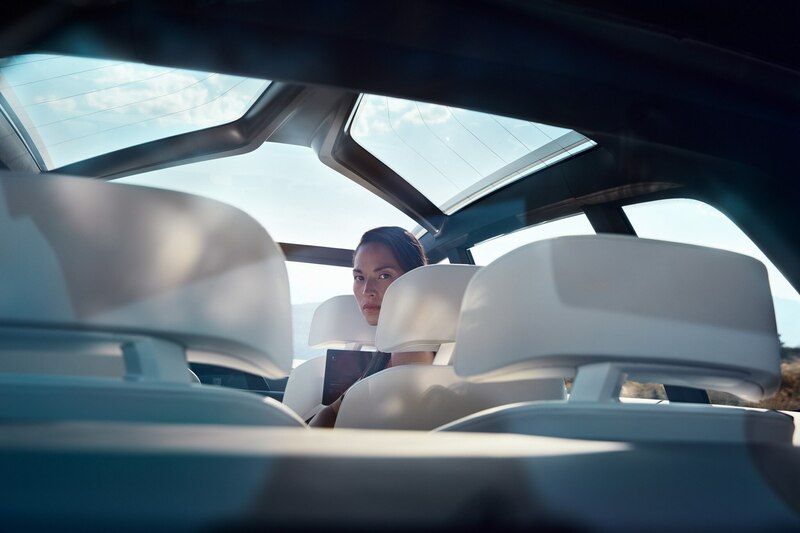 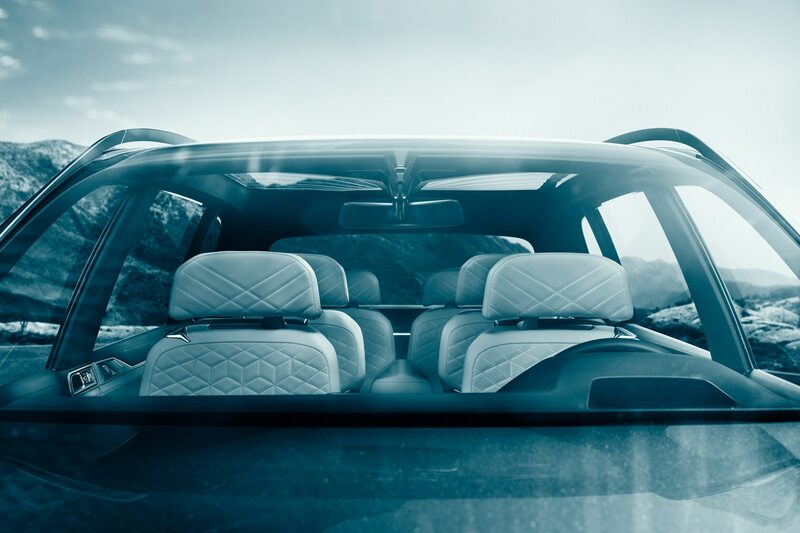 In the back, it looks like second row passengers are treated to the requisite suite of infotainment and climate controls, embedded in the back of the front seats. 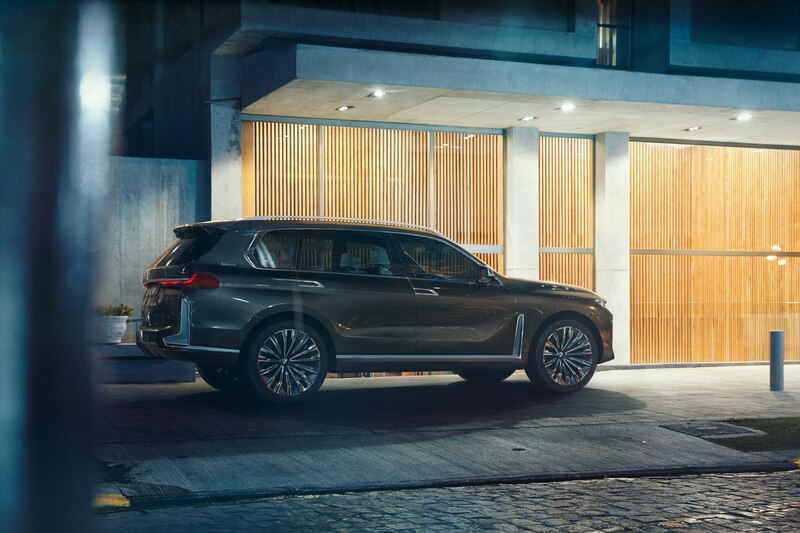 Other than what we see here, details on the X7 is scarce, including powertrains. 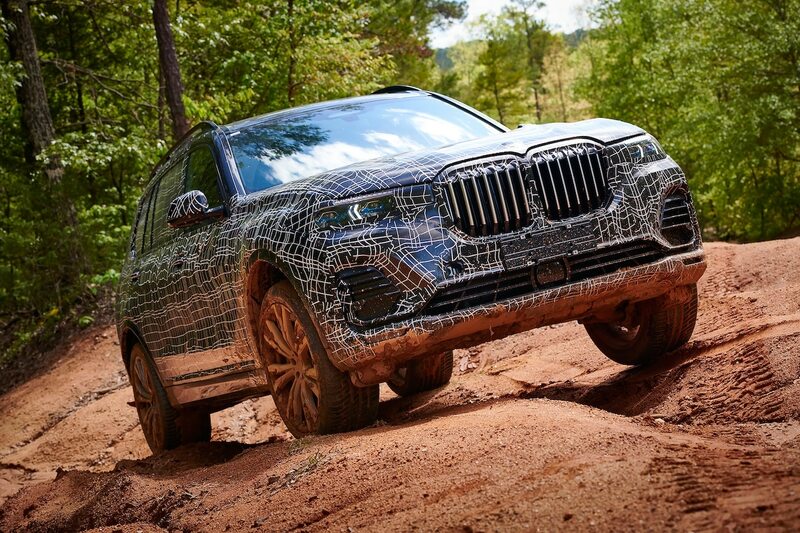 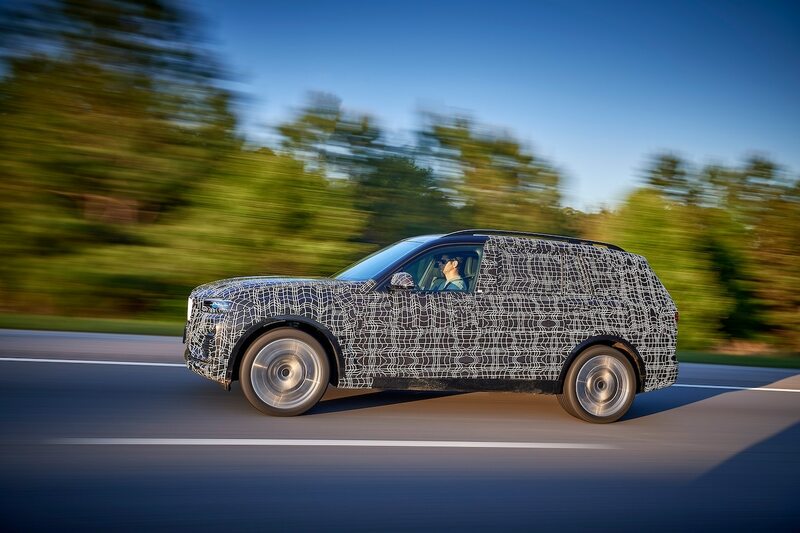 When the production SUV does break cover, expect to see a mix of inline-sixes, V-8s, and perhaps even a V-12 from the 7 Series. 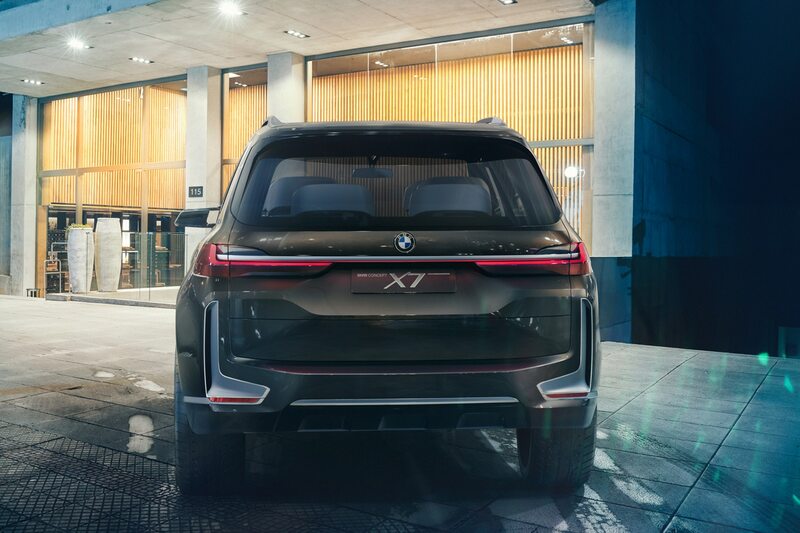 Look for more information on the X7 closer to the SUV’s full reveal at this year’s Frankfurt motor show later this month.